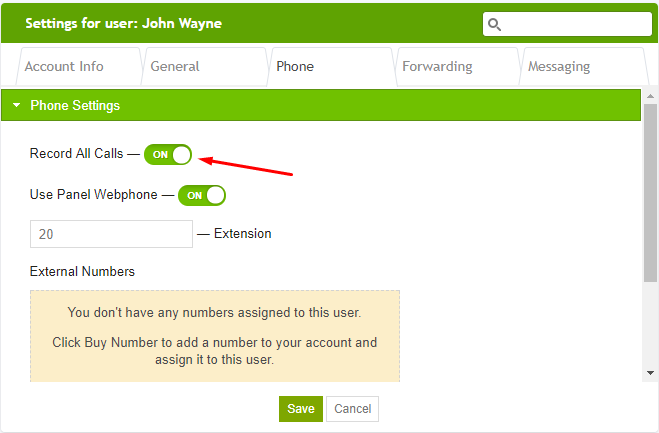 How do I enable call recording for a user? Answer here. Guide to enable recording of conversations for users. Select the user for whom you want to enable recording. Activate the "Record All Calls" feature.